Thrown together on a whim one night while we were on the road, this Dill Pickle and Bacon Potato Salad has rapidly become our new favorite potato salad. 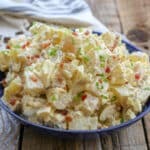 Filled with plenty of eggs, bacon, and pickle flavor, this bacon potato salad was a kid and adult favorite from the first bite. Sean and I were craving potato salad, so I picked up potatoes at the store and boiled some eggs along with them. I decided to keep it really simple and we cooked hot dogs to go along with our potato salad. I was improvising with what I had on hand in the camper and my recipe for Bacon Ranch Potato Salad turned into this Dill Pickle and Bacon Potato Salad. Sean commented that it was really good before I had even tasted it and sure enough this recipe is an absolute keeper. 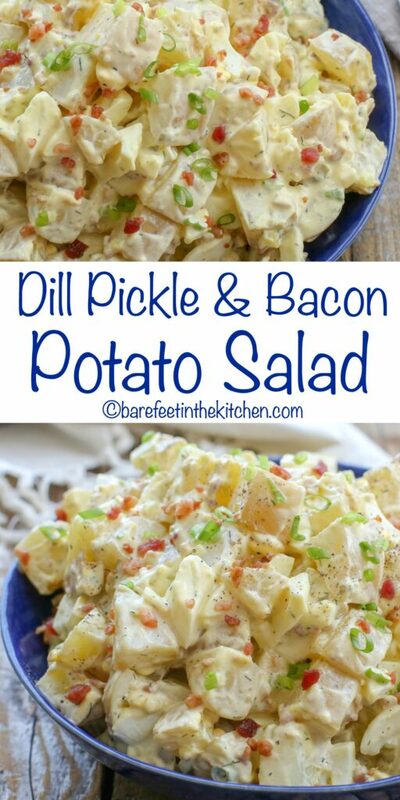 I’ve made this Dill Pickle and Bacon Potato Salad almost weekly since that first time and the whole family likes it. Well, the whole family loves this, with the exception of my youngest who doesn’t like POTATOES. How on earth does that happen? Who doesn’t like potatoes??? This kid doesn’t even love french fries. Sometimes I wonder how he is even my kid. The first time I added bacon to a potato salad it was a game changer. We all know that bacon + potatoes is almost a guaranteed win, right? Well, this time, I knew that I wasn’t about to cook bacon in the camper. (We would have been smelling like bacon for days!) However, I spied the real bacon crumbles at the grocery store and decided to try them in the salad. I love using bacon crumbles for easy breakfasts and salad toppings, so I figured they’d probably work fine. Sure enough, the bacon crumbles worked great in the potato salad. 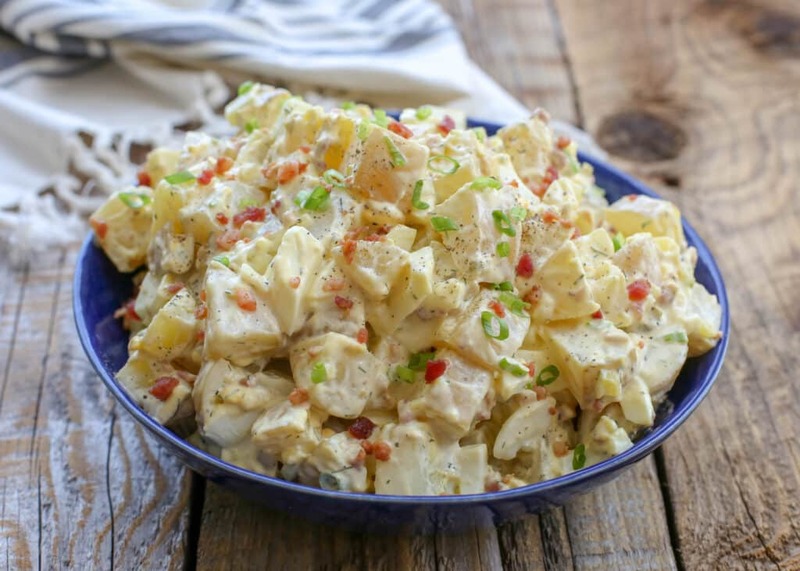 For more potato salads you might love, try the Garlic Lover’s Potato Salad, the Lemony Dill Potato Salad, and the Honey Dijon Roasted Potato Salad. This Honey Mustard Warm Potato Salad by Spend with Pennies and this Warm Bacon Corn Smashed Salad by Real Housemoms are next on my list to try. Place the potatoes in a large pot and cover with water. Boil over high heat until fork tender, about 10 minutes. Drain and let cool. 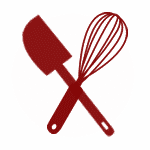 Combine the mayonnaise, dill relish, dill, salt, and pepper in a large mixing bowl. Stir to combine. Add the potatoes, eggs, and bacon to the bowl. Stir to mix well. Sprinkle with green onions and stir to combine. Serve immediately or refrigerate until ready to serve. 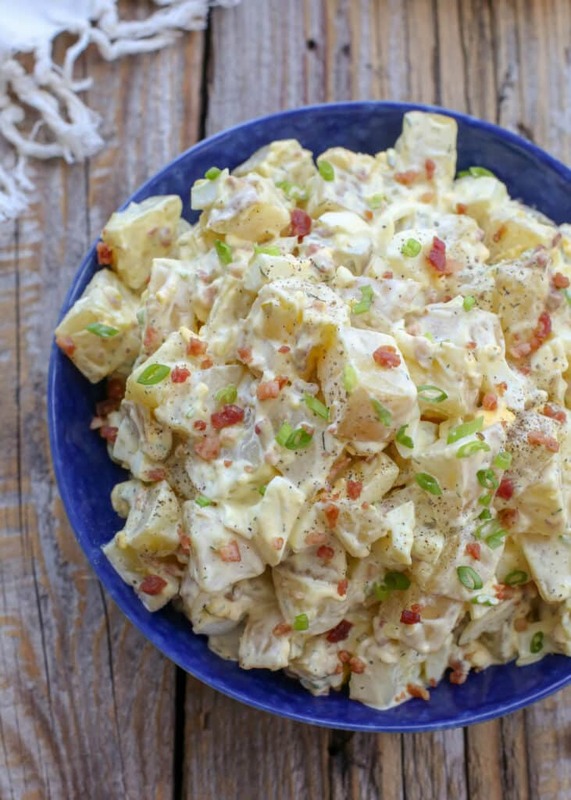 Dill pickle and bacon add a whole lot of flavor to this simple potato salad. Sprinkle with green onions and stir to combine. Serve immediately or refrigerate until ready to serve. Enjoy! You can certainly use any potato you like to make this potato salad. However, I love the thin-skinned Yukon Gold potatoes. There's no need to peel them and the texture stays nice for the salad. If you decide to use a russet or red potato, you'll want to peel the potatoes for the best results. Maybe try another state for reunions, just sayin'!! I've been searching for a potato salad recipe all day, and this looks like a winner! Never thought to include pickles! I can't wait to try this at home, thanks for sharing!